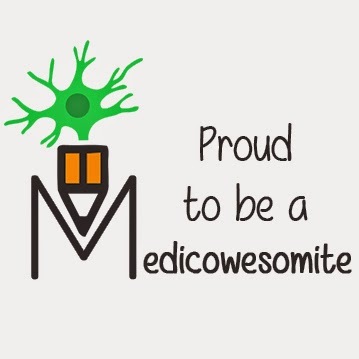 What is Medicollabowesome? How can I collaborate? Before starting with the description of HIV/ AIDS as a disease, lets discuss what are the numbers of its prevalence in the world and how much burden of the disease/ syndrome do we still have to deal with today?! We all know that HIV is a chronic self- destroying illness that forms a vicious circle of T- cell destruction:- A patient that gets infected with HIV loses his immune function with time and so is more prone to opportunistic infections, that activate the remaining uninfected immune cells, which in turn increase further HIV production and replication! Of approx. 37 million people affected worldwide, more than 50% HIV cases arise from the Sub- Saharan Africa. So lets talk about the numbers in this part of the world.. More than 14,000 people are being infected daily with HIV, of which about 11,000 are dying due to illnesses related to the HIV/ AIDS infections daily. Likewise, the Sub - Saharan Africa is a homeland to 70% of the poorest ( BPL ) people in the world, with lowest GDP. Note here that poverty does not necessarily mean financial burden that is merely quantified and minimized in monetary indices. Instead it includes people's deprivation of food, their unfulfilled capabilities, unmet daily needs, constrained choices, low standard of living and quality of life. Thus, the people in the region ( and in all other regions of poverty all around the world ) lack the assets and skills that are basic for life. The reason behind this is that appropriate and complete information, education and counselling activities are not being able to reach the poor, and if they do, the people do not have the incentives and resources to adopt to such recommended behaviors. The vicious circle of poverty and HIV/ AIDS starts here. As a result, these people are more prone to HIV infections and its after- effects which they are not obviously able to deal with, and so the economic outcome at the national and community levels may be diminished due to loss of young adults who form the majority of the productive population. Thus, the region as a whole loses its net productive years for the path to development. The numbers for life expectancy at birth in most of the countries of southern Africa have fallen dramatically over the past two or three decades, the range falling between 20-40 years of age. As a result of such morbidities and mortalities, the rates of population growth have decreased by about more than 3 percent for the worst affected countries. The HIV affected people use survival strategies to cope up with the loss, such as sexual trade, migration, polygamy, drug abuse and teenage marriage, etc. Thus it surely affects their physical, psychologic and behavioral, and social health. These in turn facilitate more spread of the virus and its transmission by malnutrition and opportunistic infections ( parasitic infections and malaria are already endemic in SSA ). The third vicious circle is formed by malnutrition and HIV vulnerability, especially in under- five children. HIV infection, on one hand, increases vulnerability to malnutrition, while malnutrition on the other hand, degrades the immune system and thus heightens the vulnerability to the transmission risk of HIV and its progression to AIDS. The child is either directly affected or indirectly, through parental illness ( vertical transmission ). Many new treatment and prevention strategies have been developed. A four year Self - testing Africa research ( STAR ) project was implemented in 2015, which in just two years has succeeded in distributing HIV self - test kit to nearly 750,000 people across three countries of the east and south Africa. The aim of the project is to screen and diagnose as many people in the affected areas as possible, and then submit the reports to the WHO for further actions. Many prevention strategies and programmes have been developed that mainly act in target and hardest hit areas and people to reduce HIV incidence by about 40% or more.